Buraco, also know as Burraco, Biriba, Canasta or Canastra, is a traditional card game in many Latin American countries and Italy. In Buraco: Free Canasta Cards, you can play on your smartphone or tablet whenever and wherever you want, with the rules you prefer: Buraco Aberto, Buraco Fechado or Buraco STBL. Set up matches with 2 or 4 players and meld lots of canastas playing against real people in multiplayer online or with our bots.Play multiplayer online or practice against our bots.Chat with other players while you play.3 game modes: Buraco Aberto, Buraco Fechado or Buraco STBL.Set up matches with 2 or 4 players.Table, decks and cards customization.Ranking and statistics.And for you, a Buraco enthusiast: we invite you to join our VIP Club, so you may take part in our ranking and enjoy other exclusive advantages. 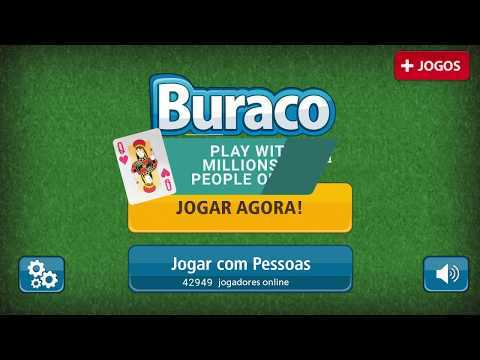 Try it out, free of charge, for one month, or for one week!Do like millions of other people and play the best Buraco app for your smartphone or tablet. Download Buraco: Free Canasta Cards now and be the canasta master!